To read: The Postmistress, by Sarah Blake. I’m halfway through this wartime novel about a journalist, a postmistress and a Doctor’s wife. I’ve become fascinated with how the women’s lives have shaped their characters and the way they face the world. They are all very human, very relatable, and because of this all the more intriguing. To visit: Worthing. 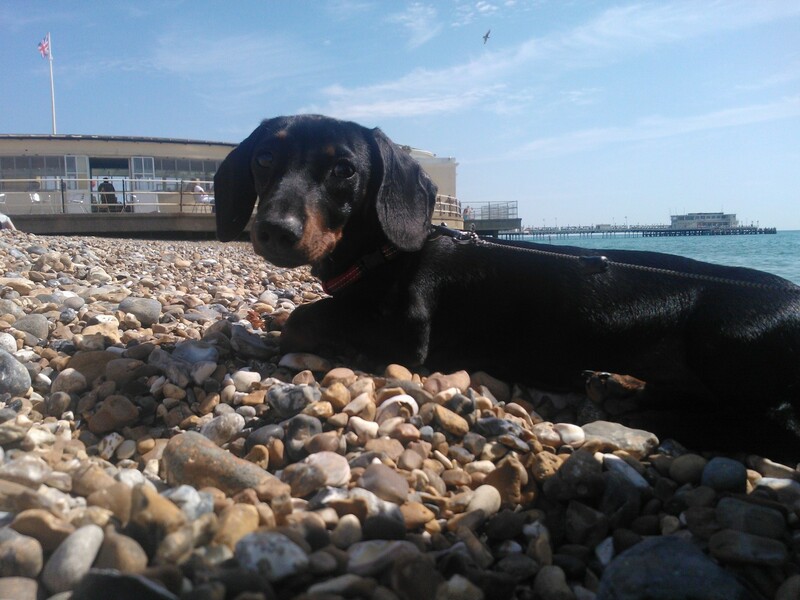 The seaside is always so refreshing, and I had a great day there with my Grandma (and Jamie the dog!) earlier this week. I know Worthing has a reputation for being a bit of a retirement hub, but it was really lovely. The beach and promenade area were relatively quiet and peaceful, even though it was a hot day. There was a real range of people around – we saw children running through the fountains, fishermen on the pier, couples in their twenties, dog walkers, cyclists, groups of women having coffee… The place had a really laid back feel and, just a short walk from the beach there are great shops too. We had a brilliant coffee at ‘Cafe Artiste’ which has tables right on the beach. To listen: The Best Yet, by Switchfoot. I love this band! Interesting, layered lyrics, great vocals and guitar. To watch: The Burrowers (BBC) – OK, so I know this isn’t the trendiest programme out there, but it has loads of cute animals on it! They have basically made burrows for rabbits, badgers, voles, and moles which can be viewed and filmed, so you get to see how the animals behave underground, and, best of all, to see the babies! To eat: Lemon Scones. I use a Sainsburys recipe, which is soo good and really easy! Great with clotted cream and jam, obviously! 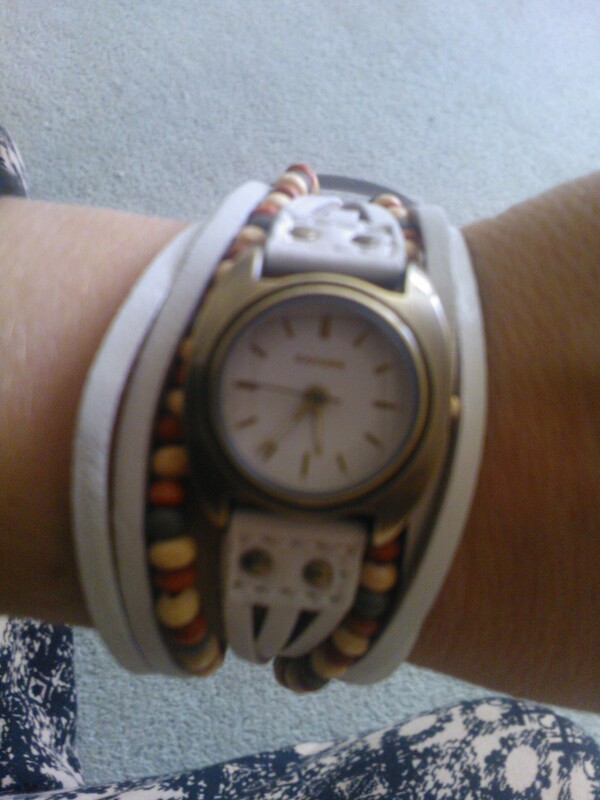 To wear: My new watch 🙂 I’ve been looking for one I like for ages so was really pleased to find a range by Kahuna in Debenhams which I knew would suit me. This is the one I chose. And finally, my favourite ‘small thing’ of the week: SUNFLOWERS! 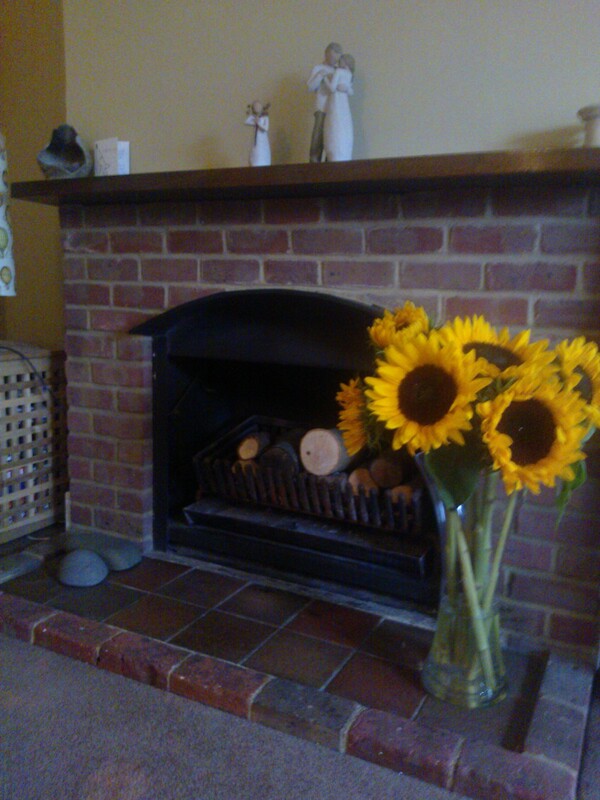 Andrew bought me some yesterday and I think they look so cheerful by the fireplace!